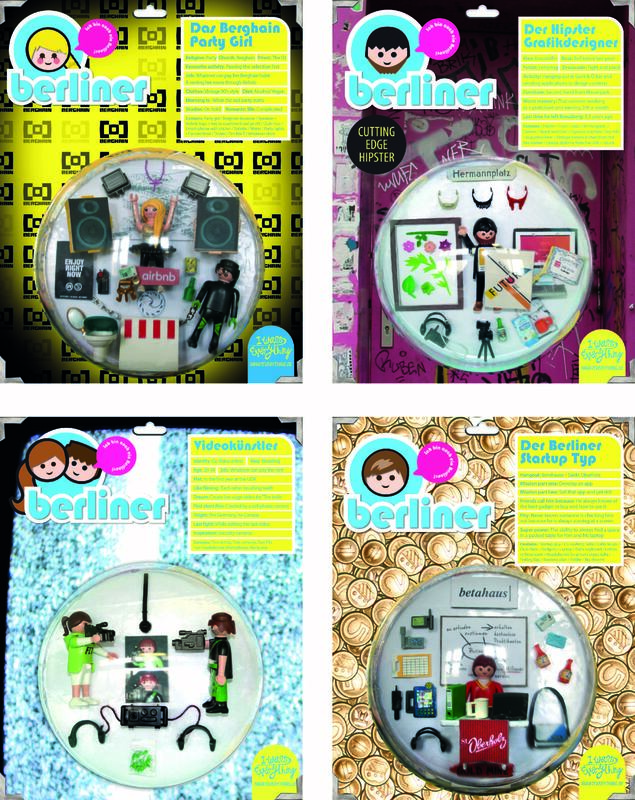 Berlin-based artist and designer Dorit Bialer created The Berliners in 2011. 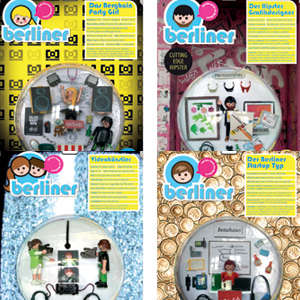 The series was consisting of customized Playmobil dolls with accessories and prints all behind a plastic bubble. 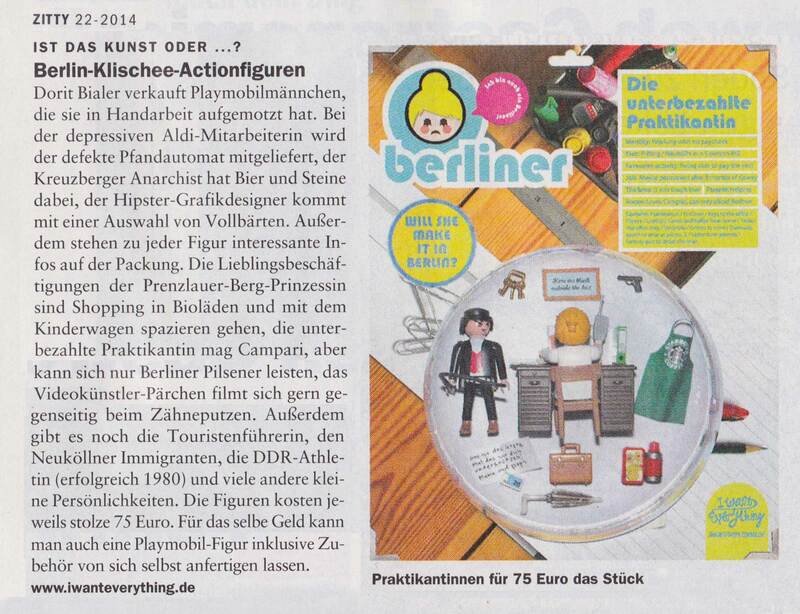 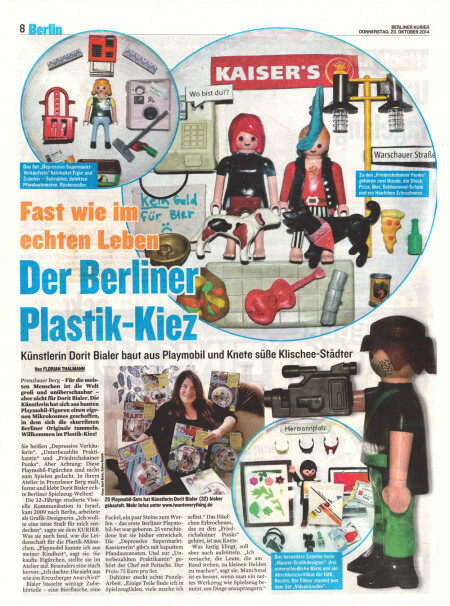 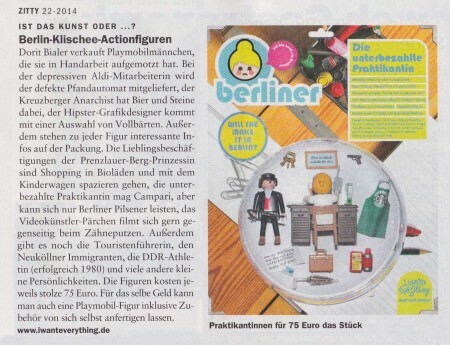 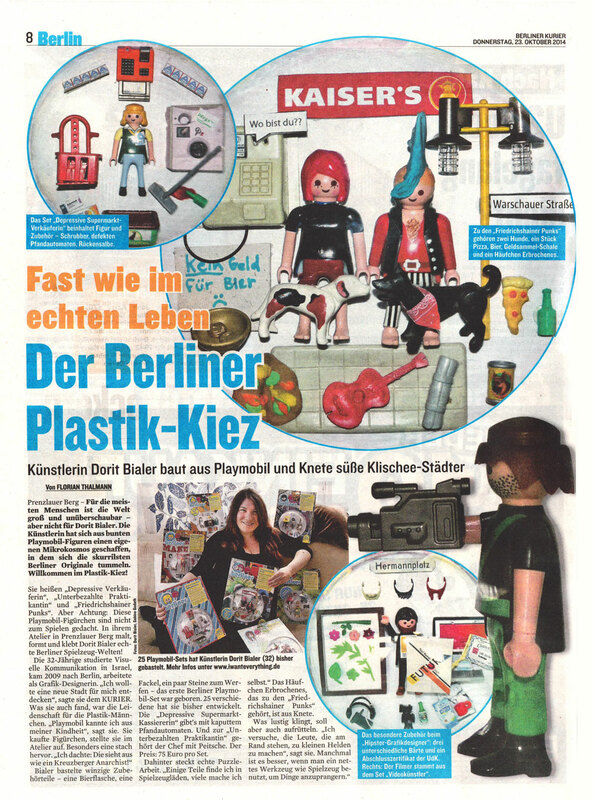 These contemporary pack toys embody the typical types of people you can find in Berlin : from the Berghain party girl and the punks in front of Kaiser to the start up hard worker and the Prenzlauer Berg mom. 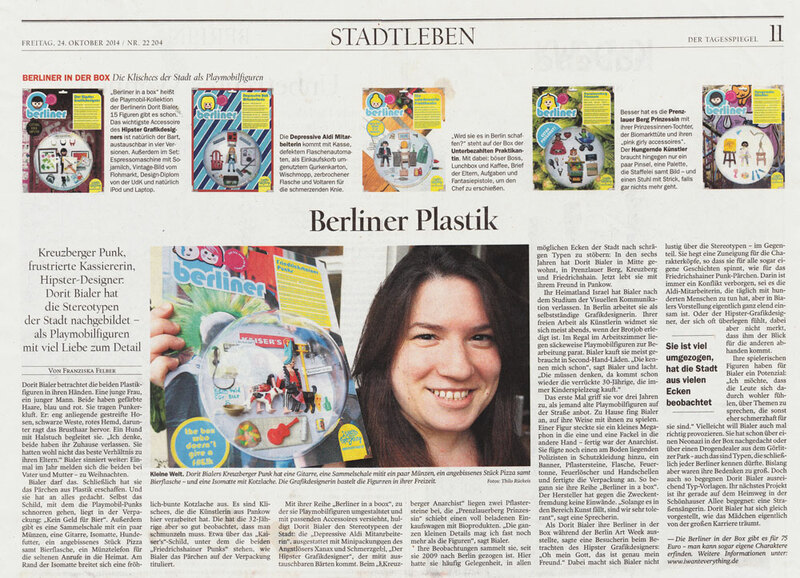 After gaining popularity among the public and the press (check out Local Suicide, Iheartberlin, Der Tagesspiegel, Berlin 1), Dorit followed up with In the Box and expand the series to everyone, including possible customized version of people around you or celebrities. 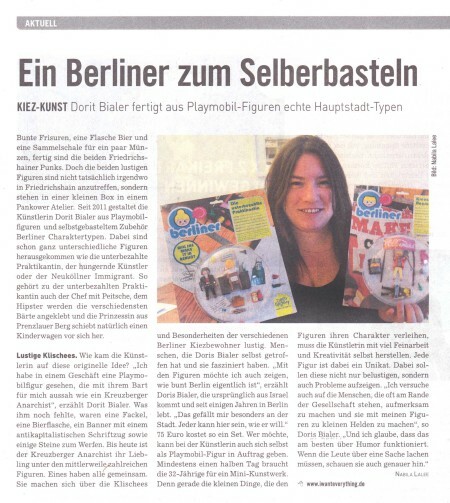 Dorit Bialer regularly exhibits her boxes and her maps ; she presented some of her work during our events Open House and Turn Around Bright Eyes.